Following the Army Corps of Engineers announcement that the Dakota Access Pipeline (DAPL) will be rerouted, the next question many people will likely have is where exactly the pipeline will be rerouted. While an environmental impact assessment still has to take place before rerouting decisions can be made, the rerouting generally seeks to ensure that the pipeline no longer crosses the Missouri River. As originally planned, the pipeline was supposed to cross under the Little Missouri River and the Missouri River, as well as beneath Lake Oahe, which is located close to the Standing Rock Sioux reservation. The Sioux opposed this pipeline route because the Missouri River constitutes the primary source of their drinking water, and, if the pipeline should leak or rupture in any way, it could threaten their health and the habitability of their reservation. While a dysfunctional oil pipeline may seem unlikely, issues with oil pipelines occur much more often than one would think. Indeed, according to TIME, over 3,300 oil and pipeline leaks have been recorded by the Pipeline and Hazardous Materials Safety Administration (PHMSA) over the past six years. 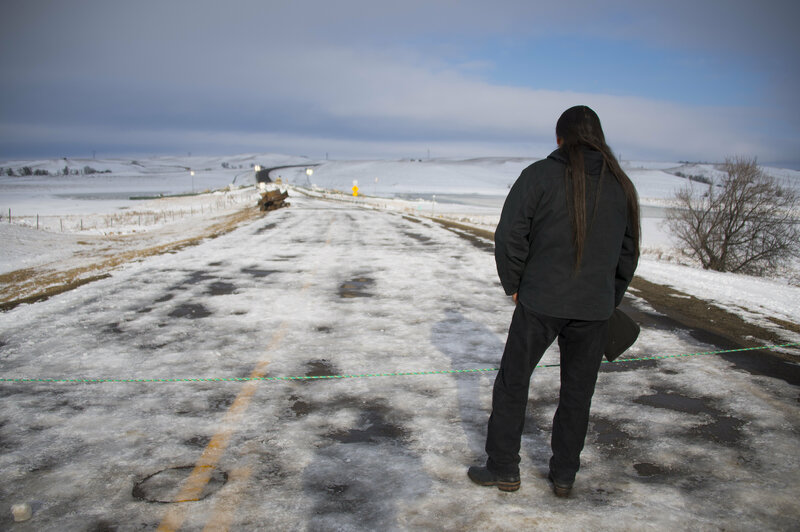 In addition to concerns about the safety of their drinking water, Standing Rock protesters also indicated that the initially planned pipeline cut across some of their sacred ancestral grounds. Cannonball Ranch, which is part of the planned route for the pipeline, contains Native American burial grounds as well as reportedly thousands of artifacts. The priority for the pipeline's rerouting seems to be especially focused on avoiding the Missouri River crossing, in order to ensure that drinking water safety is not compromised. The Army Corps of Engineers has indicated that it needs to complete an "Environmental Impact Statement with full public input and analysis," in order to find the best alternatives for the route. This means that, while the pipeline might not cross under the Missouri river in the area near the Standing Rock reservation, we probably won't know for quite some time what exact path the new pipeline will take. Vox indicates that this environmental review could take at least a year. While the rerouting of the pipeline is certainly a victory for the DAPL protesters, it is still important to keep in mind that the administration will change in January with the inauguration of Donald Trump, who supports the construction of the pipeline. While it would be difficult for Trump or Congress to overturn the Army Corps' decision, it is not impossible. Therefore, vigilance is needed to make sure that the planned environmental impact study and rerouting still occurs. Indeed, many DAPL protesters plan on staying at the site to make sure that this happens.